The amazing book I couldn’t read! For some time now I’ve been busy at work on some more articles which will be posted here soon, including continuations of the series about LOGO, as well as DRAWING THE LINE, and even an exposé of the buyers’ guide which convinced me it was OK to buy a Commodore 64. They will be named and shamed! In the meantime I thought I should take this opportunity to de debunk TMR’s post “Secret Squirrels”. Better late than never! Obviously, as people who have read much of this blog already know, I got a Commodore 64 in about April or May 1984, but couldn’t avoid being exposed to and using the BBC Micro with its advanced Pascal/Comal influenced BBC BASIC during the same time period as well. Due to all the frustration trying to program the Commodore 64 caused me, I was totally and thoroughly sick to death of it before the end of 1984. By that time, I had read a lot of magazines and made various visits to department stores in the West End of London, as well as Silica Shop in Sidcup, SE London, where I was drooling over and programming BBC Micros, Acorn Electrons, MSX computers, Amstrad CPC464s, and Atari 8 bit computers. I got some books about BBC BASIC from my local library, but I don’t remember seeing any books at the library about the Commodore 64. Perhaps my local library didn’t have any, but at least this shows I was looking around there. Later on, I borrowed books from the library about CP/M, to help me with CP/M on my Amstrad CPC664, and “Running MS-DOS” by Van Wolverton, Microsoft Press, as a new skill or even a passport to employment, so this shows I was using the library a lot. 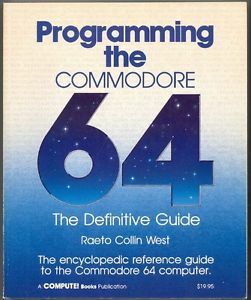 Of course, by the time TMR’s recommended book “Programming The Commodore 64: The Definitive Guide” by Raeto West came out in about April 1985 (in the USA anyway), I had either already sold my Commodore 64, or at least I was no longer interested in making any further attempts to program the Commodore 64, due to all the stress it had caused me, as well as the fact that I knew that Commodore had reused an old BASIC because they didn’t care. I would rather have watched paint dry, stuck pins in my eyes, or walked over red hot coals! Apart from all that, the book was published by “Compute!”, which I’ve already mentioned I had never heard of when I owned a Commodore 64. This explains why I never even read any of that book at a newsagent, a bookshop, or a library in 1985 or later. At that time I was busily reading magazines such as Amstrad Computer User, Computing with the Amstrad, MSX Computing, and MSX User. These magazines all mentioned interrupts from BASIC, as well as Z80 Assembly Language/Machine Code. Neither of these facilities was available on the Commodore 64, apart from Z80 Assembly Language to users with early production Commodore 64 models which were compatible with the CP/M Z80 cartridge. 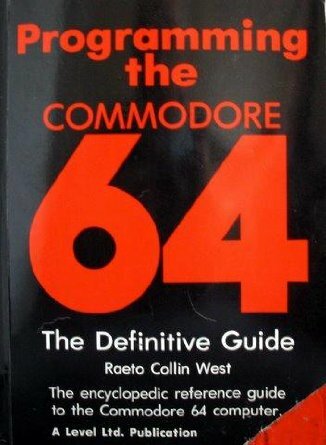 After downloading and reading most of the book “Programming the Commodore 64: The Definitive Guide” recently, I can tell you that like other books published by “Compute!”, it’s quite detailed and well written, but it seems that Raeto West is an expert on “Commodore computers”, so that suggests he learnt about the Commodore 64 in the same way as Jim Butterfield and others, by first of all studying the Commodore PET and/or VIC-20. It takes the book until page 201 out of about 611 pages to start teaching 6502 Assembly Language/Machine Code, but they even include a type in listing for the program Supermon, which the “Compute!” Proof Reader or MLX program will check after each line is entered to guarantee no errors. In spite of the title, it seems to me that it’s not really the definitive guide to programming the Commodore 64, because it doesn’t contain all the information I’ve previously listed in my post about the semi secret stash of information on programming the Commodore 64. Bitmapped graphics only gets a total of 9 pages, although for lots of people this is the most interesting aspect of a computer. The book contains a very annoying statement about a deliberately planned design fault of the Commodore 64 done just to save money. This is that although Commodore PET computers needed a time consuming, troublesome, and expensive ROM upgrade to fit a new, debugged version of BASIC, this wasn’t “necessary” on the Commodore 64, because the BASIC could be copied from ROM into RAM, the BASIC ROM disabled, then the RAM BASIC edited or extended. This is exactly what was WRONG with the Commodore 64!!!! It was crying out for a BASIC ROM upgrade ever since it was first shown at the CES!!!! Following this logic, Commodore should have supplied cassettes or disks of upgraded versions of their crappy BASIC V2 to all Commodore 64 owners who had registered with them. TMR goes on to criticise Atari for not releasing any proper documentation for a couple of years. However, as the first Atari computers came out in 1979, this didn’t affect many people. 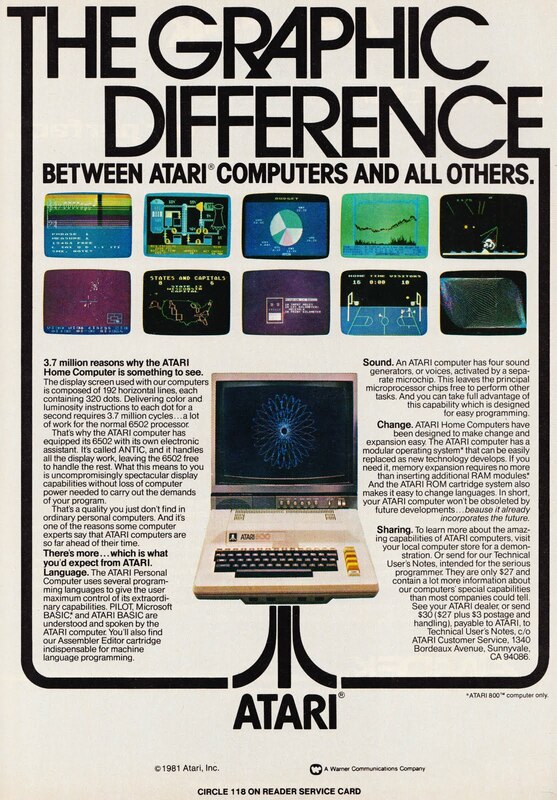 Atari released more information called the “Technical User’s Notes” for $27 in 1981. Meanwhile, at least these early adopters had Atari BASIC, Atari LOGO, etc, which enabled them to do all kinds of things with their Atari computers. The MLX Machine Code Loader program used by “Compute!” in their magazines and books is a sophisticated program that checks every single line of Machine Code against a checksum before accepting it. This means that errors couldn’t creep into users’ programs. I think this program would have been even better if it had used hexadecimal numbers instead of decimal, though. Using decimal instead of hexadecimal was a limitation of the crappy Commodore BASIC V2, but the program MLX was already quite long, so including a routine to accept hexadecimal numbers wouldn’t have increased its length by all that much. I’ve seen a routine which enables this in another book about the Commodore 64. I hope TMR won’t DE DE DE debunk this post, otherwise I may have to DE DE DE DE debunk him!